We realize that you need and want support to ensure successful applications.We offer a full range of acclaimed support tools that will do just that. More importantly, no one can match our responsive and personal customer service and facilitator support. We understand that when you need help, you need it quickly. 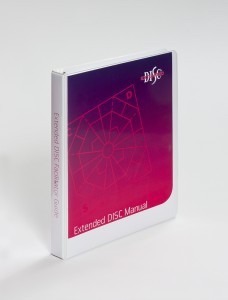 Whether you are just getting started with Extended DISC® or are a seasoned practitioner, our starter kit includes everything you need to be proficient with Extended DISC®. In-depth information on each item included in the starter kit explained below. These cards are a quick reference tool for participants to ensure behaviors really do change. 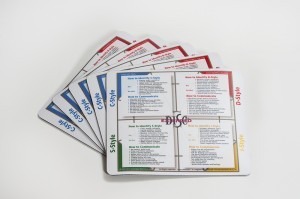 One side of the card provides information and tips on how to identify the four DISC Styles, and the Do's and Dont's when communicating with the styles for effective communication. The other side includes specific tips on how to modify communication with all of the DISC Styles. Quick Reference cards are available in packs of 25 cards. 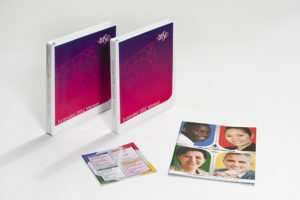 The booklet is a more comprehensive, very easy-to-use reference booklet with content that includes: How to identify the DISC styles, how to improve your communication, the Do's and Don'ts with the different styles, and the specific communication strategies for DISC Styles. 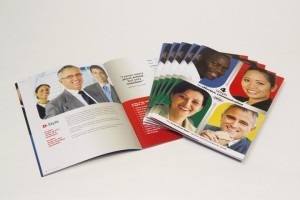 Quick Reference booklets are available in packs of 25 booklets. The Self-Development Guides are designed to assist your employees in getting the most of the Extended DISC® Assessments. They provide reinforcement to learn new skills and easy-to-use steps to successfully modifying behaviors. These high-quality guides do not get filed away they will be used frequently by your employees to help in their efforts to become more successful. 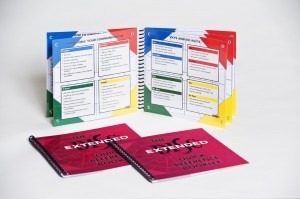 Extended DISC® Facilitator Guide is designed to help facilitators conduct successful Extended DISC® sessions. Its purpose is to provide you with support, ideas, guidance and materials to conduct your sessions. It is a MUST HAVE resource to save you valuable time-whether you are preparing for a 90-minute session or a two-day event. The Facilitator Guide is particularly valuable when you first start using the Extended DISC® assessments and are not yet fully familiar with them. It includes exercises and stories to tell until you have your own ones to share. The Guide even includes PowerPoint presentations and participant handouts. It could not be easier. The Playbook is for coaches and facilitators who debrief Individual Assessments one-on-one. It will save you time and make you more effective and credible. 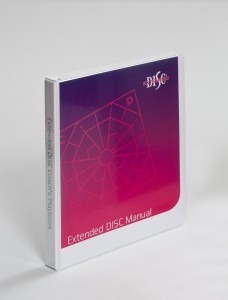 It assists with clear and practical page-by-page instructions for debriefing the Extended DISC® Individual Assessments. The Playbook is primarily intended for one-on-one sessions with your clients, providing a thorough understanding of the Individual Assessments and to aid in simplifying delivery of the information effectively and with a maximum impact on improving clients' performance. However, it also a good resource to deepen your own knowledge as a facilitator. Game III: Role Playing Great energizer!! It consists of two card decks: Role Playing Deck and Style Deck. The person draws a card from each deck. Example: Role Playing card states "Describe how you pack for vacation?" The Style Deck Card is "S-style". The person must then describe how he packs for a vacation as an S-style. Your participants will have a lot of fun with this game! Game IV: Extended DISC® Trivia Compete and learn! It consists of 52 Cards with trivia questions. Example: What one style doesn't get along with others of the same style? Answer: "D". These large, (30 inches tall and 26.5 inches wide) high-quality, full color posters will liven up your training and/or meeting rooms. 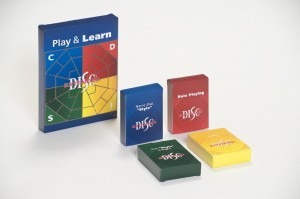 More importantly, they will provide your participants with convenient reference aids to the Extended DISC® styles and how to effectively modify behaviors. They come in a set of 2 posters. One poster provides the relevant information to help to identify the DISC-styles. It also provides specific "Do's and Don'ts" for more effective interactions with others. The other poster provides actionable tips on how to modify communication style with all of the DISC-styles to improve interactions with others. Here is a simple, yet very valuable and helpful training tool. The Extended DISC® flip chart paper (30 inches tall and 25 inches wide) works well when facilitating DISC-styles learning and especially when debriefing team dynamics and evaluating team members behavioral style adjustments. Flip chart paper available in sets of 15 sheets. The mouse pad makes Extended DISC® styles easily accessible. 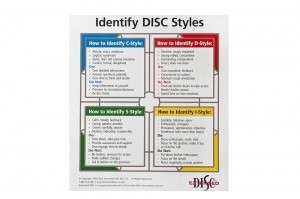 It provides quick tips on how to identify the DISC-styles. It also provides specific "Do's and Don'ts" for more effective interactions. Finally, it provides important tips on how to modify communication style with all of the DISC-styles. Training can be fun and effective with the right tools and creative content. Some methods of learning do not work for everyone. We have created a series of training videos to ramp up the public's understanding of Extended DISC, as well as improve the quality of training sessions on DISC. 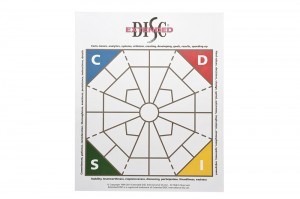 You will see a quick overview on the four DISC Styles and the importance of DISC assessments. With these tools you'll be one step closer to identifying the styles of others, and modifying your behavior to improve communication. With any sport or skill, we get better the more we practice. Learning to use DISC is no different. Extended DISC® Avatars make the learning interactive and fun! Avatars are specifically created animated movie clips that provide engaging reinforcement training. The participants learn the skills to identify DISC-styles and to make conscious decisions how to best modify behaviors to become more successful. It is "safe" online practice, where failing is a learning activity and the perfect insights and feedback are right there when you need them. Avatars is an interactive training support tool that can be used by facilitators to enhance training sessions or by employees as a personal on-going practice with 24/7 access. To learn more, contact us for demo. Extended DISC® Client Training Support Website provides instant 24/7 online access to wide range of resources.